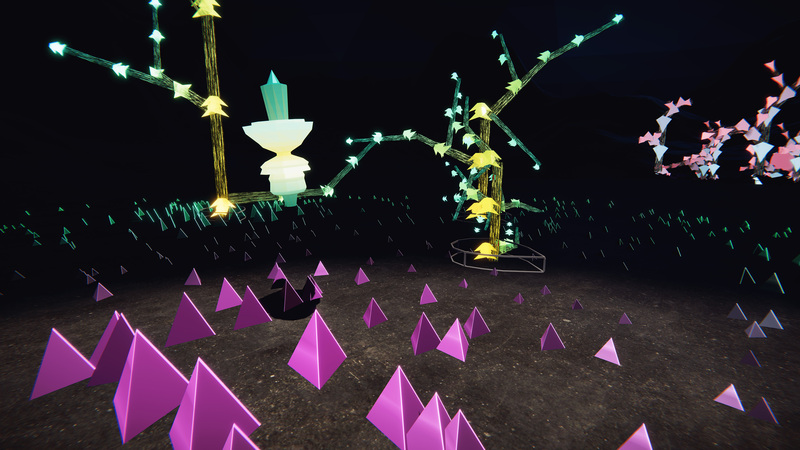 This project aims to explore the possible influence of game mechanics on collaborative music making in a virtual reality environment by blending the setting of a concert with elements known from game design. 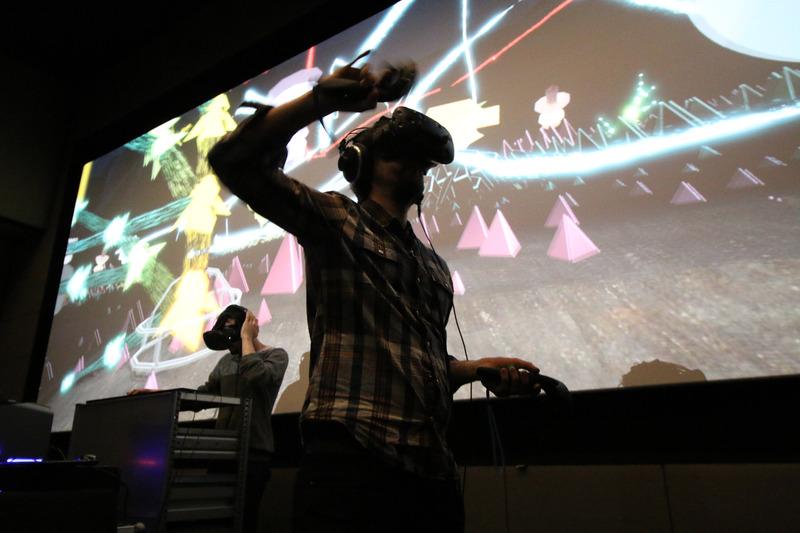 The musicians play on virtual instruments in a VR environment. They create and perform music that is represented through objects which visualize their musical content in real time. The position of these objects in the VR environment is displayed through surround sound for the public and binaural mix downs for each musician. 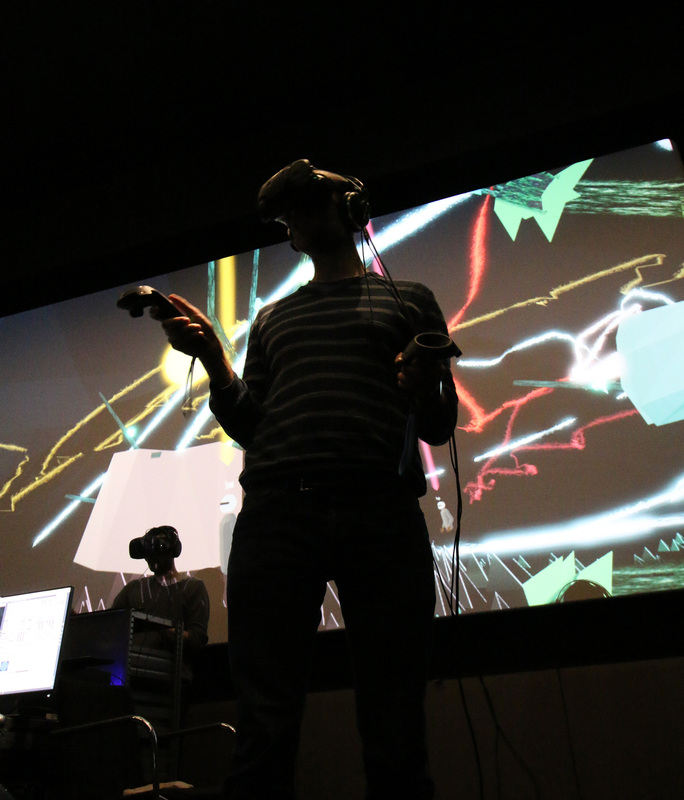 A game jockey leads the way through this VR environment as a virtual player, while the public can listen and observe his movements on a screen. During the performance the public can play mini games to interact with the musicians through the game jockey. The project prototype was realised with Unity 3D on the visual side and handling of the multiplayer situation. The real time sound synthesis and handling of 3D-spatialisation is done with Max.